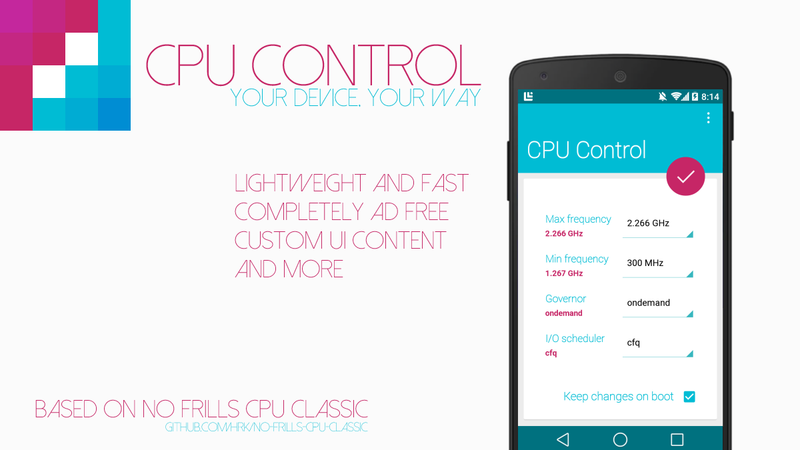 CPU Control is a totally free application that allows you to control some advanced features of your device. 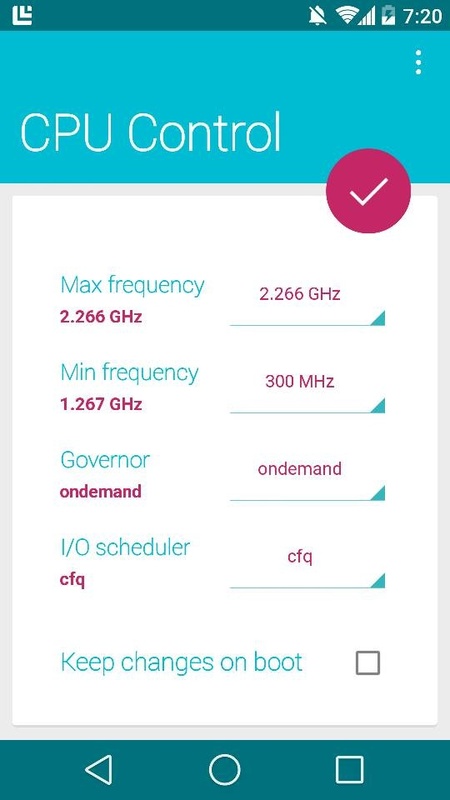 As long as you have root permissions , this app gives you access to some parameters of the processor to allow you to optimize performance and other parameters. Each parameter can be changed thanks to the drop-down menu; if you decide to make changes (operation to be performed with the criterion) write down the default values, since at the moment there is not a function of backup . In the settings, accessible from the button on the action bar, we can manage some aspects of behavior such as starting and automatic notifications. The application, although it offers very careful checks, in itself is rather simple and is characterized by a clear and pleasant by the graphics, in full line with Material Design . If you already use application for managing your processor and you're tired of the "old" interface Holo, CPU Control brings a little 'Material Design on your device, app for more advanced users. The app is not yet available on Play Store and you can download it either from its official thread on XDA, where you can find the latest news about upcoming releases, both from the link given below.